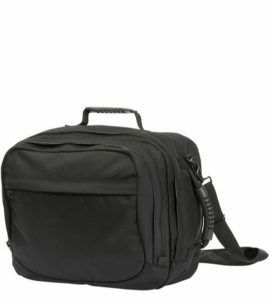 Everyone’s Favourite Black Promotional Laptop Bags. A high quality laptop bag. Perfect for the modern professional. A spacious main compartment which has enough space for storing a laptop. As well as your important business documents. A zip up front pocket in the flap. Quickly get to the papers that are needed now! Finished off with a single strong carry handle and a removable shoulder strap. Size: 34 x 46 x 6cm. 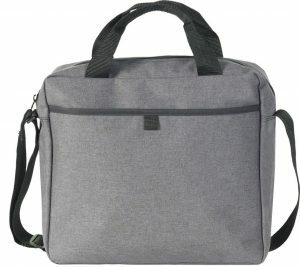 Aren’t Black Promotional Laptop Bags Boring? You may think so. But black still is the most popular colour for most bags. Plus it makes sure that the bag is not an embarrassment in the office. And not giving your clients a red face should be a priority. 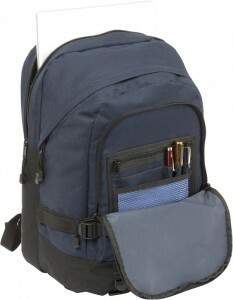 So you can be safe when you add your logo to one of our Black Promotional Laptop Bags. Safe that you client will use it and show you brand to everyone. The Promobag Warehouse is part of Per Annum Ltd. Founded over 25 years ago we have built a loyal client base who come to us year upon year for their Promotional Bags. They have found that our quality of products is matched only by our quality of service. We know how important these are to you as well. When you order with us you will see how we strive to achieve them daily. 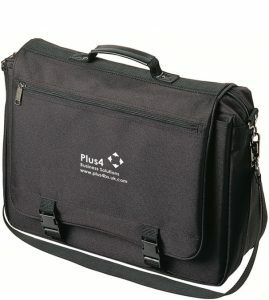 Black Promotional Laptop Bags are a small part of what we can do for your brand. From Notebooks, Pens, T Shirts and more we can help with all your branding. Let us know all of your needs, by phone or mail. It will be good to talk and you will be surprised at what else we can do for you. We know you will find you have made the best choice.